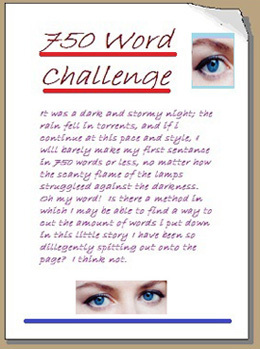 I discovered the 750 Word Challenge on the Writer’s Digest Forums. The idea is to create a meaningful and interesting story in 750 words or less. I once did a post on the subject. All of the stories on this page use 750 words or less. They are in the reverse order of what they appeared on the blog.